James Wakefield is a Senior Lecturer at the UTS Business School in the Accounting Discipline Group. He researches in two areas, accounting education and management accounting. James’ accounting education research focuses on the application of technologies to improve student engagement and learning outcomes in introductory accounting. In particular he investigates the implications of technologies including synchronised lecture slides with integrated quizzes, social media, student screencasting, online peer review forums and tablet computing enabled annotation and sharing technologies. James’ research accounting education research is the subject of a number of publications in accounting and education journals. The use of tablet computing enabled annotation and sharing technologies is the subject of a paper titled "The impact of an iPad-supported annotation and sharing technology on university students' learning”, published in Computers & Education in 2018 and earlier receiving the best paper award (accounting education stream) at the 2016 AFAANZ conference. James’ management accounting research focuses on the control and performance of international operations, the use of rolling budgets and the implications of social media exposure on incentive systems. His paper titled “An investigation of wholly-owned foreign subsidiary control through transaction cost economics theory” was published in Accounting & Finance in 2016 and earlier received the best paper award (management accounting stream) at the 2012 AFAANZ conference. His emerging work examines of social media in the workplace and the role of incentive systems in this context and is funded by an AFAANZ Research Grant and UTS Business School Research Grant. James teaches and coordinates undergraduate introductory accounting and also teaches postgraduate management control systems. 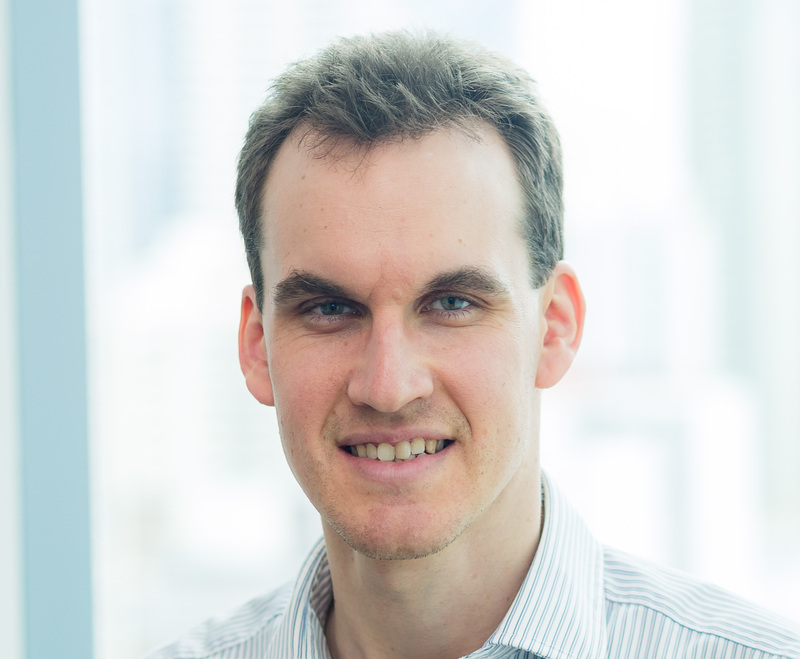 James was awarded the 2018 Universities Australia Citation for Outstanding Contributions to Student Learning for "a sustained research informed set of approaches to influence, motivate and inspire students to engage and achieve higher performance in introductory accounting and beyond” and the 2017 UTS Learning and Teaching Award for Individual Teaching for "a sustained approach to enhancing student engagement and performance in introductory accounting and beyond". He, as part of the introductory accounting team, has also been awarded an OLT Group Citation for Outstanding Contribution to Student Learning, the UTS Learning and Teaching Group Award, Accounting Discipline Group Teaching Prize and grant funding for the application of new technologies to improve student engagement and learning. James has been a visiting scholar at the University of Oxford (Saïd Business School), Monash University (Department of Accounting), University of Southern California (Leventhal School of Accounting) and Luiss University Rome. James completed the International Teachers Programme (ITP) in 2017. Prior to joining UTS James worked in auditing at a big four accounting firm and at a large multinational retailer in stock administration. International operations; management control systems; organisational performance; accounting education. Introductory accounting; management accounting; management control systems. Sivabalan, P, Wakefield, J, Sawyers, RB, Jackson, S & Jenkins, G 2018, ACCT3 Management, Cengage AU. Wakefield, J & Thambar, P 2019, 'Applying target costing to the service sector: Sunline Auto Insurance case', Issues in Accounting Education. © 2017 Elsevier Ltd This paper examines how contingent factors, important for wholly owned foreign subsidiary operation, affect the management control system exercised by multinational corporation headquarters. We focus on two sets of contingent factors: first, strategic factors relating to corporate and competitive strategy; and second, factors related to integration internal and external to a multinational corporation. We apply a control archetype approach to more comprehensively consider the controls exercised, relative to extant literature. Our evidence is based on data from a cross-sectional survey completed by 159 Australian multinational corporation headquarters. Our findings indicate activity sharing corporate strategies, low cost competitive strategies, and higher internal integration, lead to greater degrees of control of wholly owned foreign subsidiaries. Differentiation based competitive strategies and external integration have less substantial and narrower implications on the degree of control exercised. These findings are robust to sensitivity tests and are consistent with our expectations that headquarters exercise a higher degree of control in contexts perceived as less problematic. This paper investigates the management control systems used by multinational corporation headquarters to control wholly-owned foreign subsidiaries. Our theory development is based on transaction cost economics. First, we conduct a series of exploratory interviews, providing an insight into the context, and second, we provide empirical evidence based on cross-sectional survey data. Our results indicate that activity traits (uncertainty, asset specificity and post hoc information impactedness) have significant implications on control choices, in particular the control archetype combinations chosen by headquarters, although not all results are consistent with theory predictions. Our findings are supported by extensive alternative testing. The purpose of this study is to better understand how the quality of a Business Intelligence (BI) system improves the diagnostic and interactive dimensions of management control systems (MCS), thereby enhancing performance measurement capabilities, which in turn are positively associated with competitive advantage. Integrating theory from performance measurement, organizational learning and the knowledge-based view of the firm, a theoretical model is developed that considers three concepts of BI quality (infrastructure integration, functionality, and self-service) and the roles they play in enhancing diagnostic and interactive performance measurement capabilities. Data collected via survey from 324 CEOs and CFOs provides support for the theorized effects of BI quality on performance measurement capabilities. These capabilities in turn are positively associated with competitive advantage. Giacobbe, F & Wakefield, J 2010, 'Corporate Embeddedness and Control Choices'. Wakefield, J & Frawley, J 2018, 'What impact does social media disruption have on introductory accounting student performance? ', European Accounting Association Annual Congress, Milan, Italy. Wakefield, J & Tyler, J 2018, 'Large lectures in the technological interactivity era: Value added or time waster', AFAANZ Annual Conference, Auckland. Wakefield, J & Tyler, J 2018, 'Technologically interactive lectures in Accounting 101: Gain or gimmick', RMIT Accounting Educators Conference, Melbourne. Bhimani, A, Sivabalan, P, Soonawalla, K & Wakefield, J 2016, 'Beyond Budgeting adoption challenges - an analysis of operating and strategic tensions through the rolling budget', Monforma Conference, Sofitel, Melbourne. Giacobbe, F., Matolcsy, Z.P. & Wakefield, J.A. 2013, 'Some evidence on management control system choices based on a transaction cost theory approach', British Accounting and Finance Association Annual Conference 2013, British Accounting and Finance Association, Newcastle, UK. Matolcsy, Z.P., Giacobbe, F. & Wakefield, J.A. 2013, 'Some evidence on management control system choices based on a transaction cost theory approach', EAA 2013 36th Annual Congress, European Accounting Association, Paris, France. Wakefield, J.A. & Giacobbe, F. 2012, 'Control of wholly owned foreign subsidiaries: A transaction cost economics approach', British Accounting and Finance Association Annual Conference 2012, British Accounting and Finance Association, Brighton, United Kingdom. Giacobbe, F., Matolcsy, Z.P. & Wakefield, J.A. 2012, 'Control of wholly owned foreign subsidiaries: An integrated approach', AFAANZ Conference, AFAANZ, Melbourne, Australia. Wakefield, J.A., Giacobbe, F. & Booth, P.J. 2010, 'Challenges and controls associated with establishing a wholly owned foreign subsidiary in a transition economy', British Accounting Association Annual Conference 2010, British Accounting Association Annual Conference 2010, British Accounting Association (BAA), Cardiff City Hall. Giacobbe, F., Wakefield, J.A. & Booth, P.J. 2010, 'Challenges and controls associated with establishing a wholly owned foreign subsidiary in a transition economy', 33rd Annual Congress European Accounting Association Programme, European Accounting Association (EAA), Istanbul, Turkey. This paper invest igates the management control system choices exercised by a multinational corporation headquarters to control a newly established wholly owned foreign subsidiary located in a t ransition economy. Specifically t his paper aims to identif y what the core ch allenges of establishing and operating subsidiaries in transition economies are and how these are addressed t hrough the mult inational headquarters' management control systems. A case study is conducted of an Eastern European based subsidiary owned and controlled by a multinational corporation origi nating from South-East Asia. The challenges of operating the subsidiary in the transition economy are reported, which primarily ent ail cultu ral differences, lack of experience, lack of external integration and recruitment issues. Preliminary f indings indicate that the management control system primarily util ises personnel and results controls, which appear to address operational and management challenges. International Joint Ventures (IJVs) are increasingly regarded as an important means of international expansion. A large body of literature has investigated the key characteristics of IJVs, however most of the research has been exploratory rather than confirmatory. This paper has developed a model to investigate (i) the effect of parent partner motive divergence and parent partner resource contributions to IJVs on parent partner management control systems (MCS) choices, (ii) the impact of parent partner resource contributions to IJVs on parent partner motive divergence and (iii) the impact of parent partner motive divergence and parent partner management control system choices on IJV performance. The data for this paper was gathered from a cross sectional survey questionnaire which collected data from Australian based parent partners of IJVs operating abroad. The results provide confirmatory evidence that motive divergence has a significant impact on performance and some impact on parent partner management control system choices. Resource contributions made by parent partners to IJVs was also found to have a significant impact on parent partner MCS choices and motive divergence. These findings provide confirmatory evidence of exploratory results and sound suggestions to the world of practice. Matolcsy, Z & Wakefield, J 2015, 'The Association between Viability Related Factors and Control Package Choices in the Context of Foreign Subsidiaries'. Disrupting social media disruption through incentive systems.